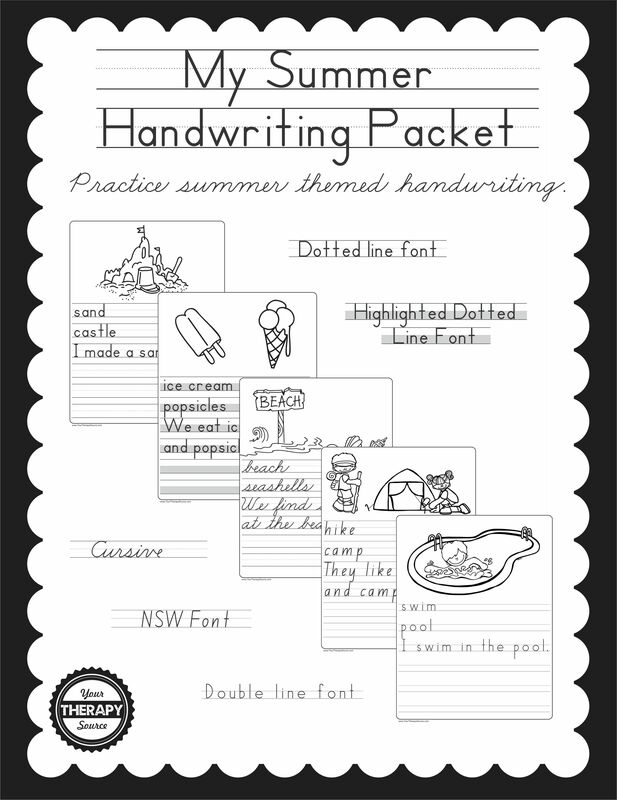 Summary: Practice handwriting with this 8 page summer themed handwriting booklet available in 5 different font styles. Summary: My Summer Handwriting Packet download includes 5 different font styles of an 8 page summer themed handwriting practice booklet. Research indicates that to improve handwriting, practice sessions are necessary (Hoy, 2011). This copy booklet is easy to encourage handwriting practice. The five types of font/layout include: 1. Dotted line Zaner-Bloser® type font, 2. Dotted line Zaner-Bloser® type font with highlighted lines 3. Double line Handwriting Without Tears® type font, 4. New South Wales (NSW) Foundation Manuscript and 5. Cursive font.